Concessions on site are operated by Ryan Schuessler and Rebecca Hofmann Schuessler, the grandson and daughter of Johanna Hofmann and the late, Wayne Hofmann, our gracious landowners. 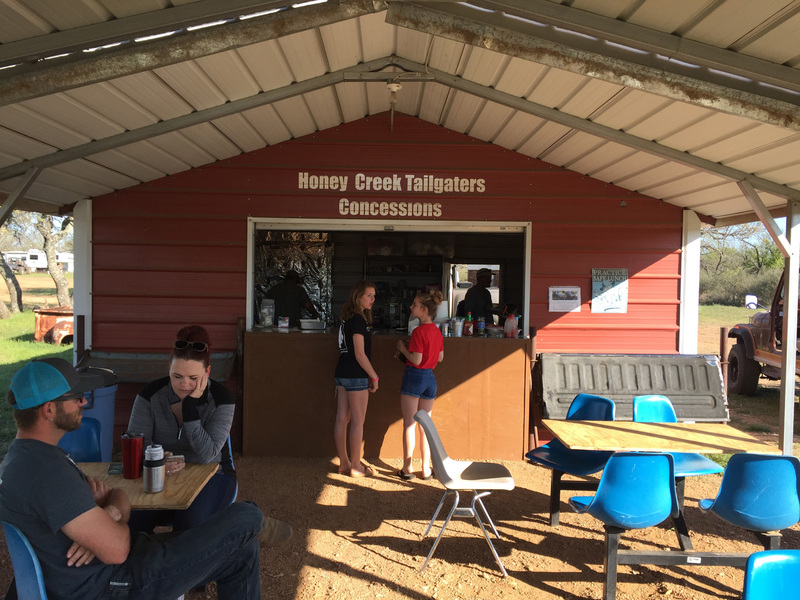 Honey Creek Tailgaters is open for breakfast and lunch Saturday and breakfast Sunday morning. Because the Schuesslers also run the concessions in town at the Odeon Theater, they are not open on Friday and Saturday nights.